How about Santa? Glenn Unzicker is your Wisconsin Santa Claus for Hire this Holiday season. 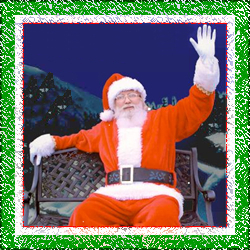 With an impressive Santa resume that includes all sorts of Holiday events large and small, Santa Glenn has also appeared in print advertising and commercials. Don’t miss the chance to bring Santa Glenn to your seasonal celebration – and remember – Holiday time books up very fast so don’t hesitate and schedule your Santa visit today!